President Donald Trump’s 62-page “skinny” budget proposal — he calls it his budget “blueprint” — is devastatingly consequential for most departments and agencies. (See my prior post.) It tells you, for example, that the State Department will take a 28 percent hit should Congress concur in this first Trump Administration budget request, but it is short on how the programs at State and most other departments will be affected. For that we will have to wait a few more months until the main budget document is to be released — or leaks emerge — and the various budget experts do their analysis. Will Congress adopt the president’s idea of winners and losers? Maybe not. His proposal is hardly a strictly partisan expression to which all Republicans will faithfully adhere, even if it is in the direction that they want to support. Moreover, as much as he wants to see a big defense build-up, dealer Donald Trump’s budget has to be seen as his opening gambit in an appropriations process that is only just getting started. Meanwhile, the budget document and agency press releases provide some information. Here is what we know. The USACE civil works program proposed number of $5 billion is $1 billion less than current year funding — a 16.3 percent reduction — but, historically, that’s not so bad. That is actually higher than the Obama FY17 budget. Every White House low-balls the Corps budget. The annual fiscal dance is for the president to bid low because he knows Congress will respond high. There is no more detail to report at this point. If there is a caution here it is that the Corps budget can’t be viewed in isolation from the total Federal budget. This clearly is not a normal year. If the Defense Department and Homeland Security are going to benefit in the substantial way that the White House proposes, the competition will be for your program to lose less than the others. If Congress were to provide the civil works program with more than $5 billion, as it has in recent years, that might come from other parts of the budget that are already proposed for stiff reductions. The budget blueprint shows a $2.4 billion reduction in spending over current year levels — a cut of 13 percent — and contains enough detail to identify some major programs targeted for elimination. Not surprisingly, the $500 million, multimodal TIGER grant program is prominent in that category. The White House would remove this most reliable source of funding for non-navigation port projects, including inside-the-gate improvements. (About $51 million was awarded to six port-related projects in FY2016.) TIGER, started in 2009, has survived past Republican efforts to eliminate funding but it has had strong support from Democrats and even Republicans. The White House is not alone in suggesting that TIGER is to some extent duplicated by the FASTLANE grants program that was created in the FAST Act and is dedicated to freight projects. (The Trump budget retains FASTLANE.) However, that part of the five-year FASTLANE program that most interests ports is the multimodal portion that is not limited to highway projects. Much of the total $500 million multimodal authorization was allocated in just the first year of the $900 million annually authorized spending for FASTLANE. There is no such modal limitation in TIGER. We will see if appropriators allow TIGER to end. The DOT budget also would also eliminate funding for long-distance Amtrak operations, start down the path to private sector management of the air traffic control system, end the Essential Air Service program that is a major benefit for rural states, and close out a transit capital grant program. This is a strategic document that looks to the future, and is designed to send a clear message on deficit reduction. For DOT, it addresses the department’s discretionary programs, which make up about one-quarter of the Department’s total resources. These proposed savings are largely geared towards future program investments, so they will not have an immediate direct impact on our DOT colleagues. This is just the beginning of the budget process, not the end. We will see the more complete picture when OMB releases its final FY 2018 budget in May, and as the President’s infrastructure initiative takes shape. In fact, OMB Director Mulvaney noted yesterday that the strategy behind the savings in the DOT budget is to move money out of existing, inefficient programs and hold these funds for more efficient programs that will be included in the infrastructure package under development. The lead Democrat on the House Transportation & Infrastructure Committee, Peter DeFazio (D-OR), was not complimentary, and not without irony, in commenting on the Trump planned cuts for USDOT. DHS is proposed to get 6.8 percent more in the coming year to benefit the construction of a southern border wall and heightened enforcement of US immigration law through technological and human resources. Significant additions of personnel — 500 more in Customs & Border Patrol (CBP) and 1,000 more for Immigration Control & Enforcement (ICE), plus support staff — also are intended to strengthen border security. Another $1.5 billion is slated for cybersecurity activity to protect Federal networks and critical infrastructure. The budget proposes to cut State and Local security grants by $667 million. 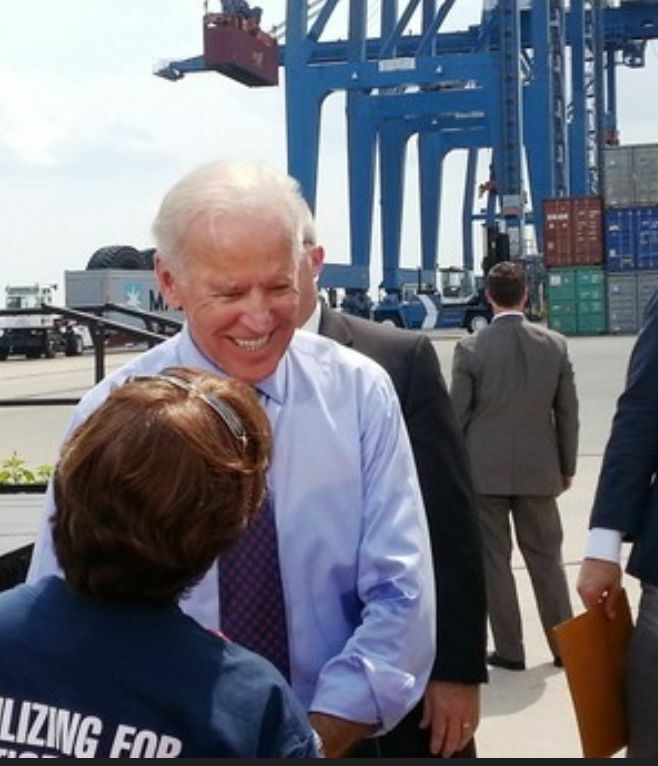 Earlier reports suggested a probable 40 percent reduction in the Port Security Grant Program but analysis by the Democrats of the House Appropriations Committee concludes that the budget means a 25 percent reduction in the program, from $100 million to $75 million. The budget document also states that the Transportation Security Administration will experience the elimination and reduction of “unauthorized and underperforming programs.” Details presumably to follow. At 4:24 am last Friday the Senate called it a night (or morning). Shortly before, the “world’s greatest deliberative body” quit deliberating, bringing its “vote-a-rama” session to a merciful end. “Deliberation” doesn’t apply very well here. When the Senate takes up its annual budget resolution and an around-the-clock offering of amendments it is anything but “long and careful consideration or discussion,” as defined in Oxford. Senator Patty Murray (D-WA) coached visiting constituents on Wednesday morning that this was great time to see the Senate from the gallery. The senator was right to the extent that one doesn’t often get a chance to see a majority of Members on the floor for an extended period of time. As promised, she and her colleagues were there touting and voting on amendments to the FY 2016 Budget Resolution in a rare display of a constant quorum in search of a budget framework. Probably more than a few of them were also in search of an expeditious deliverance from what at times has the appearance of an exhausting, even pointless, legislative exercise. Senate Concurrent Resolution 11 is serious business, much like its cousin, H. Con. Res. 27, which on Wednesday the House of Representatives dispatched in far fewer bleary-eyed hours. When/if the process is concluded, the Congress will have a single congressional budget resolution—no White House signature needed, thank you—that sets enforceable limits on appropriations in broad categories, e.g. transportation, for the next fiscal year. It is a budget discipline that Congress created in 1974. In this case, both chambers and their Republican majorities last week produced resolutions that maintain the increasingly constrictive caps and the across-the-board cuts of sequestration of the infamous Budget Control Act of 2011 (BCA). Both resolutions project balanced budgets in ten years. Both put downward pressure on spending for non-defense and defense discretionary (non-entitlement) programs. But both, ultimately, also create exceptions so as to boost defense spending above the BCA ceiling that John McCain (R-AZ) called “reckless” and “a disaster” in his attempt to end the grip of sequestration on the DOD side of the ledger. There are differences between the Senate and House resolutions, which may be resolved in conference between the two budget committees. So, you might ask, what exactly is a “vote-a-rama” in the US Senate?” In large part, it is a chance for a large number of amendments to be taken up in a short amount of time. Everybody, in theory, has the opportunity to shape the broad framework for spending. Well, not really. It might better be described as rapid-fire amendments so one can go on record—or put the other guy on record—for or against something. Standard Senate rules are put aside for purposes of budget resolution consideration. No chance to spend 20 minutes airing an issue or in orderly exchanges with a colleague over some weighty matter. Instead, senators mostly were asked to vote on vaguely worded issue proxies that have little practical effect on spending decisions or the issues themselves. Serious subjects may be raised but a senator has a minute to state her case, assuming her amendment—one of nearly 800 introduced—is among the few that actually get floor time. Some are approved without objection, others rejected or agreed to by recorded vote. Some are withdrawn—the point already made—or ruled out of order. Susan Collins (R-ME) said “the process gets misused just to make the other side cast uncomfortable votes,” adding that “the budget should be a serious process…” One didn’t have to look far for a handy example, this one covering two political hot buttons in one amendment. A senator wanted to “establish a spending-neutral reserve fund relating to limiting the ability of Environmental Protection Agency personnel to carry guns.” The italicized phrase is the common form used in the amendments, helping make it pertinent to the budget resolution and within its dollar limits. Where any subjects of relevance to the port/logistics world proposed in the wearying session last week? Yes. Today EPA’s Gina McCarthy today said, no problem, Senator. “EPA doesn’t have the legal authority” to do that anyway. A year in which U.S. shipyards announced contracts for over twenty new ocean going vessels (with options for several more) is noteworthy, especially given the recent difficult times experienced by the shipbuilding industry. What makes this fact even more significant is that LNG as a propulsion fuel is a central feature in each of these vessels, either as the intended fuel source upon delivery or at some point in the future. A distinction has developed between ships that will be “LNG-ready” as opposed to those that are “LNG-capable,” the difference being those vessels that will use LNG upon delivery and those that can be converted to operate on LNG at some later date. While certain design modifications are incorporated into these ordered vessels, such as foundations for LNG fuel tanks and dual fuel main engines, they will operate on conventional diesel fuels when they are delivered. The reasons for taking a half step to LNG rather than making the plunge are several, among them the additional cost of the entire fuel gas system, including the fuel tanks. However I suspect the greatest reason is uncertainty related to LNG supplies in the ports where these vessels will call. This is particularly the case with the product tankers that have been ordered that, unlike the LNG-powered container vessels do not operate in a classic point-to-point liner service. Their deployment is largely dictated by cargo availabilities throughout the United States and thus, until LNG is more widely available, the owners will likely hold back on a full commitment to LNG. If one is looking for positive signs on the infrastructure front, they are there. The Port Fourchon terminal project on the Gulf of Mexico in Southern Louisiana is being developed by Harvey Gulf Marine to serve its fleet of LNG-powered offshore service vessels. It will be the first operational LNG bunkering facility in the United States and is expected to be operational next year. Clean Energy has announced its intent to construct facilities dedicated to the marine industry in Jacksonville. Tote, Inc. issued a request for proposal (RFP) to potential LNG suppliers to provide LNG for their vessel operations based in Tacoma, Washington and Jacksonville, Florida. Each announcement of new LNG-powered ships results in a deluge of phone calls from potential LNG suppliers seeking meetings and making proposals to vessel owners. So again, there is clear movement, growing interest and some tangible progress; but it is slow and these projects still face regulatory challenges and uncertainty that may result in delays and higher costs. Given the delivery schedules of the Tote, Inc. ships, in late 2015 and early 2016, and the Crowley vessels in 2017, it seems that the window for putting bunker infrastructure in place—completing land acquisition, clearing Federal and local permit requirements, and facility construction—is growing very tight. This raises the possibility of ships being delivered and no LNG being available, which will greatly increase operating costs due to the requirements to use ultra-low sulfur diesel (ULSD) to meet Emission Control Area (ECA) regulations. So, to offer a slightly more elaborate answer to the tipping point question, the U.S. is closer today than a year ago but one cannot conclude that the LNG revolution has begun. Of the limited number of Jones Act liner operators, three have already announced projects–Matson being the third–and another has announced intentions to convert existing vessels to LNG. The product tanker market has been effectively replaced over the last ten years so there are limits to the expansion there. I think the greatest opportunities for achieving critical mass in a marine fuel transformation can be found when and if several large harbor services or tug and barge companies either convert existing tugs to LNG or CNG or acquire new tonnage or the top-tier international liner companies announce new construction programs with LNG-fuelled vessels. Either – and certainly both – of these developments would be a critical next step to accelerate widespread LNG deployment. Marine vessels represent the potential for a large concentrated market for LNG/CNG, and a port that has both ocean going and harbor vessels that need LNG for fuel would surely provide sufficient basis for investments in LNG marine terminal infrastructure for bunkering.